We’ll Celebrate Rain or Shine! 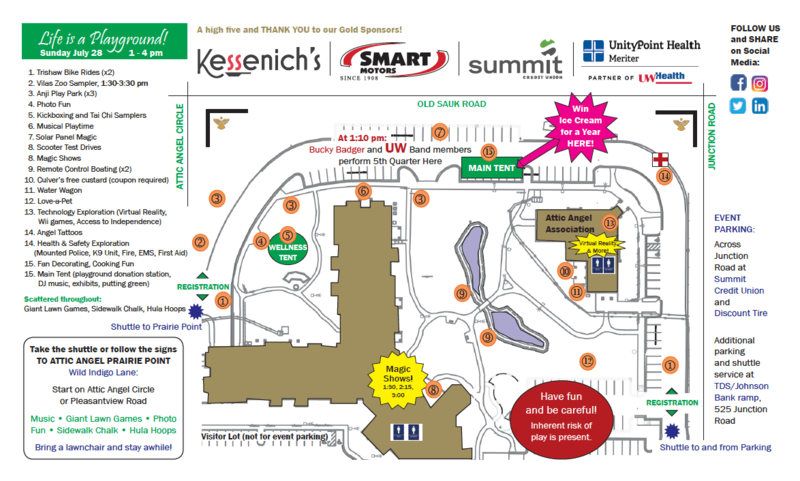 Help Us Build a Playground! Win Ice Cream for a Year! For 130 years, our Attic Angels have shown that many hearts and hands can make a big impact. Become part of Madison history by making a gift – however large or small – to build a playground that will serve homeless children and others enrolled at The Playing Field early learning center in Madison. In lieu of admission, we suggest a donation that will help us build a playground to serve homeless children and others enrolled at The Playing Field. A gift of any size will automatically be entered to win one of two ICE CREAM FOR A YEAR awards from Madison’s Chocolate Shoppe! No contribution necessary to enter. Our citywide birthday party is FREE to attend! All ages (1 to 101) are invited for a great time! Attic Angel Association got its name in 1889 from clearing an attic of goods no longer needed by one family but very useful to another. This group of women remains very resourceful in using similar methods (for the annual Attic Sale, Classic Clothing Sale and Holidays Galore & More Sale) to raise funds that will serve identified community needs. 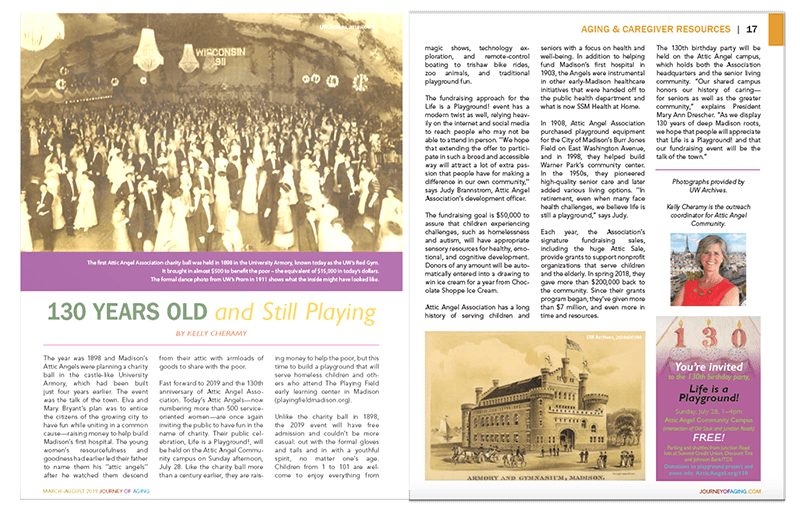 Madison’s Attic Angels were instrumental in raising money to build the city’s first hospital and bringing to life other notable places and services that helped develop the Madison we know today. For more about their impressive history, click here. Mallards Baseball agrees that LIFE IS A PLAYGROUND! Join us on July 18! Join us at the Warner Park Duck Pond on Thursday, July 18, at 6:35 pm when Attic Angel will have the nonprofit spotlight. 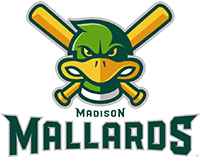 A $17 ticket (a $45 value) buys you an evening of All-American fun including a comfortable reserved seat, a Mallards hat, a Mallards 32 oz. souvenir cup, and a voucher for a free fill of beer or soda. What’s more, $5 of every ticket sold supports Attic Angel’s playground fundraiser! Click here or use promo code ANGEL on the regular online ticket portal. This special is valid through midnight July 4, 2019.